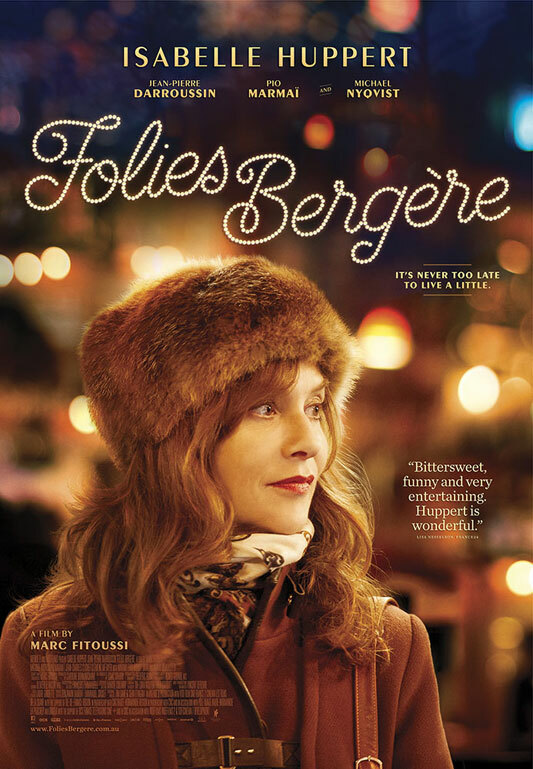 I often liken movies to food and I won’t make an exception with my experience with Folies Bergère. The first quarter of the movie feels a tad pointless, with me not knowing where the story would progress. I deliberately didn’t pay attention to any reviews or synopsis, so I can fully immerse myself in the story. Then, like a great dish, the ingredients that are included in the first step infuse their flavours and colours that make this movie very endearing. Brigitte (Isabelle Hupert) and Xavier (Jean-Pierre Darroussin) are prize-winning cattle farmers from Normandy. Whilst Xavier is non-confrontational, dependable and predictable, Brigitte is care-free and dreamy. Then one night, at a party at a neighbouring farmhouse, Brigitte becomes intrigued by a young Parisian debonair named Stan (Pio Marmaï) and chases him – just to see whatever experience she would get by meeting him in Paris. She ends up meeting Jesper (Michael Nyqvist) – a charming Danish dentist who is in town for a conference. Xavier who is suspicious at his wife’s trip (supposedly to meet her dermatologist) follows her to Paris. Whilst I was quite lukewarm at the beginning of the movie, I was quite charmed by the movie towards the end. Folies Bergère looks like an ode to Paris, highlighting some of the spots there whilst also showcasing Isabelle Hupert’s beauty. The soundtrack also wisely weaves through some well known songs as a way to help tell the story – such as Paris by Friendly Fires (Aeroplane Remix, ft. Au Revoir Simone) and Dean Martin’s The Good Life. If in the past I was quite comme ci comme ça about visiting Paris, after this movie along with other personal favourites, I would certainly love to soak myself in this city. I’m watching Australian Idol at the moment and I thought it’d be a good time to compile my Weekly10 for this week!